Lit. fan slope. Also ougikoubai 扇勾配 or miyakoubai 宮勾配 (shrine slope). 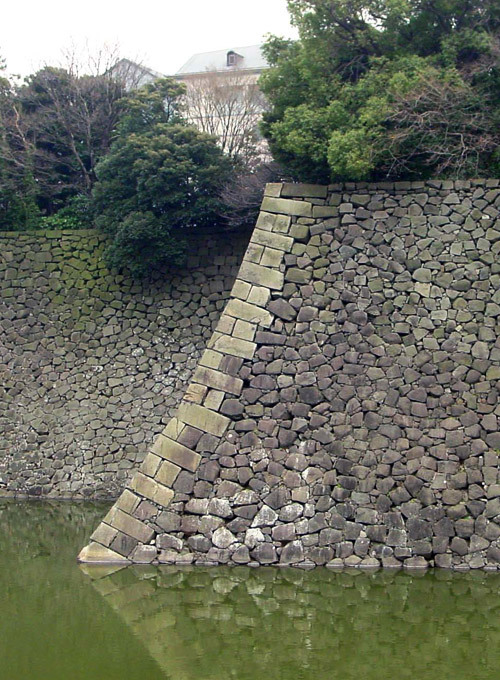 The concave pitch of a stone foundation wall *ishigaki 石垣, which resembles the curved line at the top of a folding fan. Used for later castles with high stone foundation walls. The wall gets gradually steeper towards the top: the lower part rises at a 45-degree angle, and the uppermost part rises at a 90-degree angle.